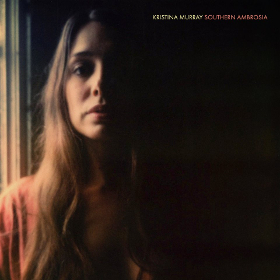 If you’re looking for the next generation’s version of Emmylou Harris, Kristina Murray is not a bad place to start your quest. A hidden gem of east Nashville and a regular at the Honky Tonk Tuesday Night events at the local American Legion Post 82, she’s been seen as a duet partner with J.P. Harris and other cohorts occasionally, while playing her own sets of classic country music originals and covers for appreciative crowds in Nashville and beyond. Murray is getting ready to release her second album, and what she hopes to be her leap from part-time waitress to full-time musician with Southern Ambrosia, scheduled to be released on September 21st. Produced by Michael Rinne who’s previous work includes producer credits for Kelsey Waldon and playing studio bass for Joshua Hedley, Caitlin Rose, Michaela Anne, and a slew of others—Southern Ambrosia is said to tackle the ever-present duality of Southern life, from its cultural riches to its undeniable shadows. 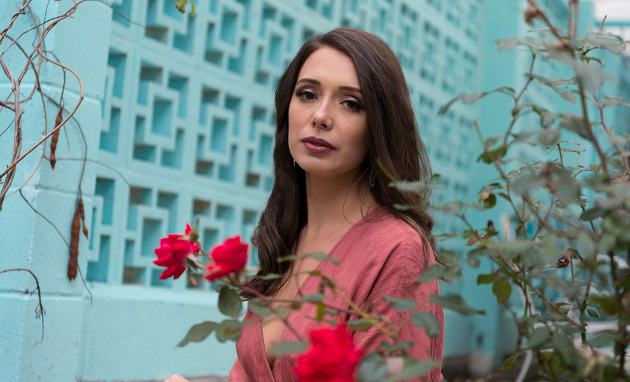 Originally from working class Atlanta, Murray spent six year playing country and bluegrass music in Colorado, and released her first record Unravelin’ in 2013. Moving to Nashville the next year in full pursuit of a country music career, she’s been willing to hustle with day jobs, writing music with her 1963 Gibson J-45 at night, saving up money, clawing forward, and doing what she can to make her dream come alive. Murray funded the recording and production of Southern Ambrosia herself. Southern Ambrosia is now available for pre-order. I’ll be looking forward to this record. Her music is good honest country through and through. My vote would go to Jamie Lin Wilson. That was exactly what I thought when I saw that album cover. She’s quite good, having watched her play in Nashville at The Palace and on The Opry stage at The Boogie Festival. Never thought of her as an Emmylou. Time will tell.Another bright talent from the underground country scene in Nashville. Anyway, when you know, you know. Tyler Childers achieves a similar effect: when he sings, it’s like you’re living in another landscape. Just wanted to say thanks to Trigger for showcasing so many great artists. Thanks to Spotify and this site my love of American Roots music has been rekindled. It is nice to see that great music is still being made even if it is no longer played on radio that much today. I spent this past week listening to her and Emmylou. Conclusion: Kristina should try singing fewer words, more open vowels, in higher keys. She has the melancholy, but it sounds mired in Lexapro instead of exalting and hair-raising (in a good way). Interesting. I hope she falls in love and has lots more to give. Just got done listening to “Southern Ambrosia” twice and I think this is an extraordinary album. Kristina is the real deal and hope she gets the recognition she deserves. This is what real country music should sound like.